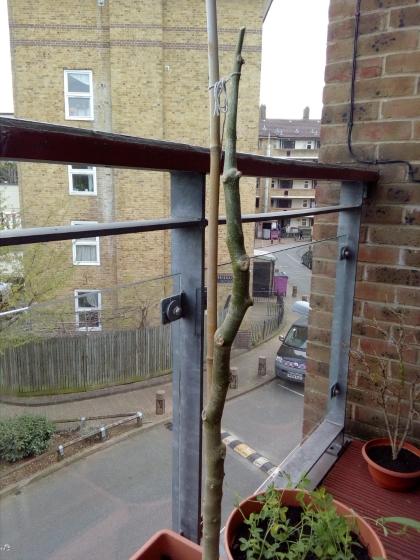 Help With A Dormant Overwintered Brugmansia Please? I was hoping that someone here might have some knowledge of 'Angels Trumpets' Plants or Brugmansias. I started one last spring and it grew well though the summer. I then allowed it to go dormant outside keeping it covered up for some protection. I think it made it although it lost all of it's leaves and it suffered a few inches of die back from the very top which I snipped off. 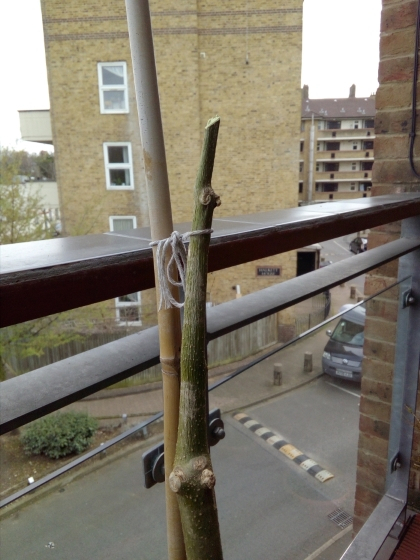 The remaining stem looks very healthy but I have no idea if it should have produced any new shoots yet because there are none. Is it too soon to expect to see any, or might there be a problem with this plant? That looks fine. I cut mine down like a buddleja in Spring. They usually drop the leaves and sometimes there is some die back. You should start to see new shoots soon. Thank you very very much for responding so quickly and for your advice. That is reassuring, and I guess ill leave it where it is and wait then.